The collapsed Morandi Bridge is seen in the Italian port city of Genoa, Italy August 15, 2018. 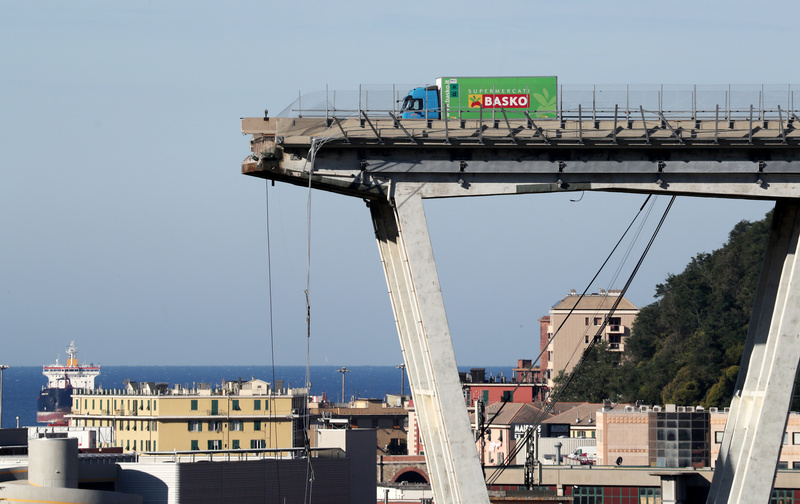 The Italian government on Aug. 17 launched a formal procedure to revoke the concession held by Atlantia-owned Autostrade per l'Italia to operate the country’s motorways, following the collapse of a bridge in Genoa. Autostrade on Aug. 18 offered 500 million euros to rebuild the bridge and help victims of the collapse. The money was described as a “minimum wage offer” and “charity” respectively by Deputy Prime Ministers Matteo Salvini and Luigi Di Maio.